The Rottweiler is a statuesque and proud beast. A beautiful hound, powerful and bold yet at the same time hugely devoted to its master and highly protective towards those it loves. A true family member to be sure, and like the others in the household, a Rottweiler can fall ill. There are certain illnesses and problems a Rottweiler can fall prey to more than others, but thankfully, CBD or Cannabidiol can help you to deal with whatever ails your pet. Most people are now becoming familiar with this revolutionary form of alternative treatment and how it is making huge strides in being recognized and accepted as a legitimate treatment of not only animal ailments but human maladies as well. Such is its rise in popularity in a plethora of forms that the New York Times recently featured an article called “Why Is CBD Oil Everywhere?”. And that is no exaggeration. Wherever you look these days there seems to be a product derived from CBD oil. Cannabidiol is derived from the hemp plant which is the same plant used in the production of cannabis, the drug which is used recreationally. CBD however, does not contain the same high content of THC, (Tetrahydrocannabinol) which is the element of the plant which brings about the state of euphoria when imbibed in certain ways. Although cousins, CBD, and cannabis are extremely distinguishable in that CBD does not give the user a “high”, is totally legal and is not classified as a narcotic. The non-opiate hemp is used in the production of medicines, clothing, furnishing and even bricks and blocks used in the construction industry. There are around about 25,000 applications that contain hemp in one form or another, so the title of that article was no hyperbole. So, what has this to do with Rottweilers? Well, as we have said, CBD oil can be massively helpful in treating unwell dogs, specifically illness brought about by, or causing, inflammation, as one of CBD’s main properties is as an anti-inflammatory. The Rottweilers roots go back to ancient times and they are direct descendants of the Molussus, a now extinct breed of dog that was used extensively as working dogs by both the Greeks and the Romans. Sheepherders and, perhaps not surprisingly, guard dogs being their primary roles. Later, they were introduced into Albania and gradually became more and more popular and spread all over Europe. Despite their power structure and size, a Rottweiler is just like any other breed of dog. If reared and looked after properly, it is as fond of fun and cuddles as those breeds which look a little less intimidating to those unfamiliar with Rotties. Given plenty of exercises, Rottweilers are usually very healthy dogs but can be susceptible to hip dysplasia and bloat. Cancer can be a problem with any breed of dog but sadly for Rottweilers, it is the leading cause of death due to an illness. The most common types of the disease afflicting these animals are lymphoma, osteosarcoma, and liver and spleen tumors. 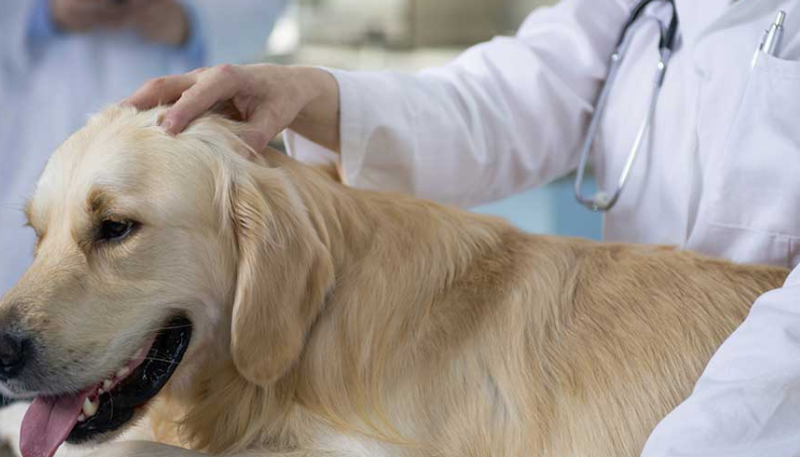 The prognosis for any animal diagnosed with those types of cancer is never good. All dogs can be affected by Osteochondritis Dessicans, but larger breeds suffer from it a great deal more than smaller ones. Osteochondritis Dessicans is usually found in pups around 3-5 months old and can cause a malformation of the growing bones leading to breaks and joint problems. Dysplasia, particularly hip dysplasia, is another widespread problem predominately amongst big dogs. When this problem occurs the bones at the joints unnaturally rub against one another causing pain and inflammation and eventually enough disfigurement of those joints to render the dog unable to walk without being in crippling pain. Aortic stenosis is another problem rottweilers are particularly prone to, this is when the hearts left ventricle is partially blocked leaving the organ needing to pump much harder to facilitate correct blood flow throughout the body which may lead to heart attacks or heart failure. Rottweilers can also suffer from cataracts and PRA, progressive retinal atrophy – and again, they seem to suffer this malady more than some other breeds but as yet, with this particular problem, nobody seems to know why. All of that makes for some glum reading but there is a sunny side and the CBD that was mentioned earlier now comes into play as it can help relieve, and even prevent, some of the awful medical problems you have just read about. A huge devotee of CBD is Blake, his Labrador developed hip dysplasia which in turn sparked agonizing arthritis. The poor dog was unhappy and in so much pain it began to shun walks and play. This lack of exercise then led to weight problems and an all-around downturn in general well-being. As if that wasn’t enough the unfortunate pooch then developed cancer. Naturally, Blake was at his wit’s end and convinced he was about to lose his best pal. Then he heard about hemp and its multitude of uses including, of course, its health benefits in both humans and animals. After plenty of lengthy research, Blake started his dog on CBD oil-based products and the results were remarkable. Within days the pain had subsided which led to a happier dog straight away. Over the following weeks and months, the dog began to recover. Her walking became steadier and more natural, her spark and love of life returned, and she outlived the prognosis prediction of her demise by quite some time. Instead of coming to a painful and undignified end, Blakes dog lived out the good portion of its last days happily and pain free and he attributes the improvement and sustained relief to CBD. Without a doubt, it helped treat the hip dysplasia which would have had the knock-on effect of making the dog fitter and happier and more up to facing the challenge of staving off the cancer. So, what can CBD do for Rottweilers and their particular problems? Large dogs like rottweilers, German Shepherds and Great Danes for example are more often affected by the cancer Osteosarcoma than their smaller counterparts. This an extremely aggressive form of cancer that affects the bones and results in the rapid decline of the dog’s health. The symptoms of Osteosarcoma are not immediate apparent being very subtle in nature. They can present as Joint pain, swellings and lameness which are all signs found when a dog suffers from other disorders such as dysplasia. Sometimes the signs are a lot more obvious in that there may be a large and unusual growth that is easily felt. 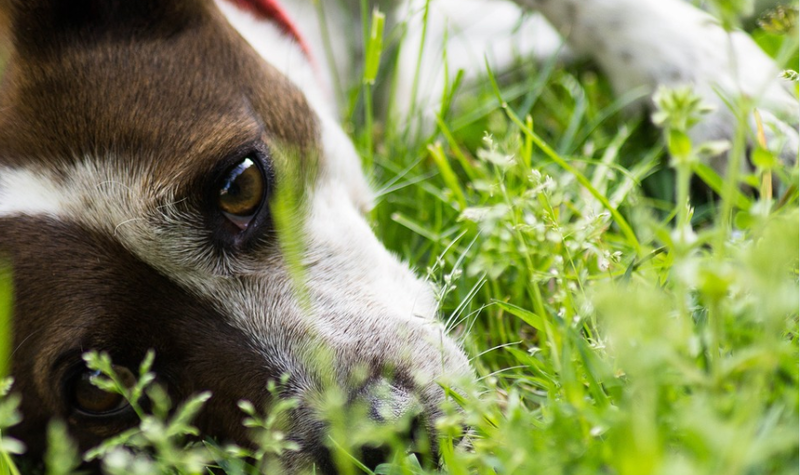 In all, cases a dog with this sickness will become lethargic and lose worrying amounts of weight. This is where CDB comes into play. Just about every animal has an endocannabinoid system which plays a major role in a number of bodily functions such as pain, memory, mood, metabolism and most significantly here, inflammation. This system is just the same as the one a human being possesses which is why CBD’s, having been successfully trialled as an anti-inflammatory in rats, was then developed for use in humans and proves successful in treating and alleviation illnesses such as arthritis, IBD and Parkinson’s to name but a few. CBD has been proven to trigger the endocannabinoid system and this could help reduce the inflammation surrounding the dog’s tumor. Cer,tainly not a cure as such but a huge lessening of the pain the dog feels can only be a positive thing. However, there is further good news.CBD oil can also help to combat cancer in dogs. Cancerous tumours grow and flourish due to a process called angiogenesis. This allows a tumour to grow new blood vessels which then provide a steady flow of blood which allows that tumour to keep growing and spreading. A study in 2012 demonstrated that CBD can stop a tumour producing these new blood vessels which could cause it to stop growing and eventually die altogether. An earlier study in 2007 showed that CBD could kill off cancer cells in its own right as it lowered the expression of a breast cancer gene – if it could defeat one kind of cancer couldn’t it beat others? It has to be worth a try as a three-pronged attack has a good chance of causing some improvement. For future reference, Blake and his dog used King Kalm CBD products by King Kanine. Undoubtably a useful weapon against Osteosarcoma, CBD can also play a large part in the easing of hip and elbow dysplasia – another ailment rottweilers are prone to as discussed further up the page. To clarify, these dysplasia’s are caused by malformations of the hip or elbow joint which causes the bones to rub together in a damaging fashion. Eventually, the joints wear out much more quickly than they would naturally, and painful arthritis sets in which can lead to even greater problems. 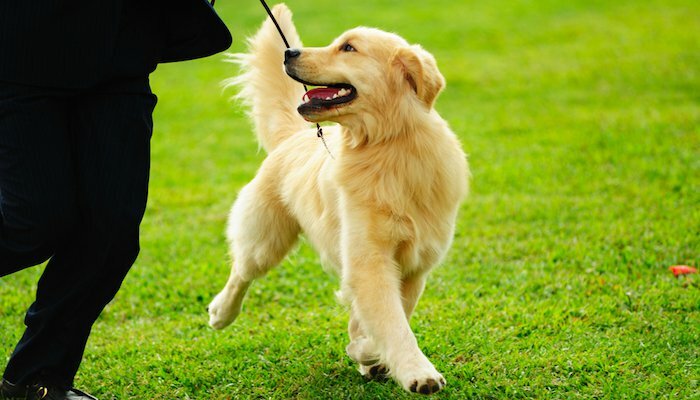 The lack of exercise means the dog may start to gain weight which has the negative effect of putting more strain on the already damaged joints. This in some cases causes them to fail totally leaving the dog immobile and in a position where it may be better off being put to sleep. A very sobering and upsetting prospect. Fortunately, as with Blakes Labrador, CBD can reduce the inflammation, especially if caught early enough. Once the inflammation is reduced the joints can begin to heal as the bones no longer cause the damage they were, and a major improvement in the dogs all round well-being should follow. Another benefit to giving your pet CBD oil is that it is a natural pain killer as well so as soon as the treatment starts the pain should ease resulting in a much happier dog. 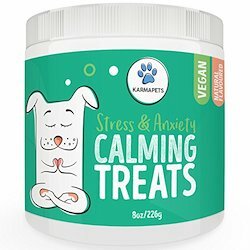 Canna-pet at canna-pet.com is one of the most recommended retailers of CBD oil products for pets. A quick visit to their website will reveal glowing testimonials to the healing powers of the product on big dogs. Honeybear is a ten-year-old rottweiler who sadly needed a limb amputating. Her owners are convinced CBD assisted in her post-op recovery and greatly helped ease her pain. Lucky was diagnosed with Osteosarcoma and suffered so badly he just about lost the use of his hind legs. Devastated, his owners were considering putting him out of his very apparent misery. Thankfully someone told them about CBD and they started treatment and now, some time on, Lucky has much improved mobility, his vitality has returned, and he is living well past his predicted end. 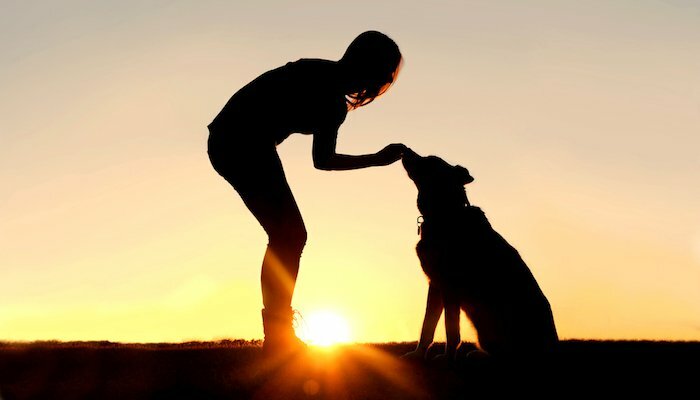 These are just a couple of the heart-warming and hope inducing success stories out there concerning people, their animals and their rewarding use of CBD oils. So, which is the best CBD oil to use for your pet? Well, firstly, you need to find a reputable retailer as there is such an abundance of places where you can buy CBD online and not all are completely reputable. It is always a good idea to begin by visiting CBD forums and general web sites and reading reviews and opinion. There is no end of pet forums, many dedicated to individual types of animals, so under the circumstances discussed above, you would go to a site devoted to Rottweilers and search the boards for other owners experiences of CBD’s and their unwell pets. And don’t forget, when you do find your preferred stockist and start treating your own beloved dog, be sure to post your own tips and recommendations on those same sites. 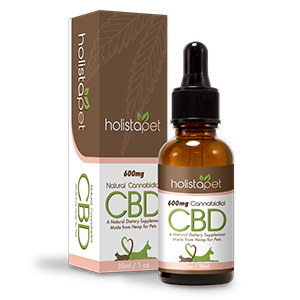 When you see the difference CBD oil makes to your canine, you will want the same for everyone else as well. 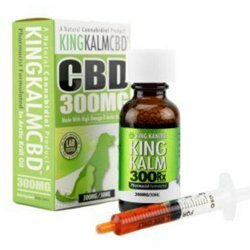 When it comes to a particular brand of CBD oil, the aforementioned King Kanine stocks the highly recommended King Kalm CBD 300mg rx. This is a tried and trusted product from a distinguished and respected online retailer. This was one of a number of treatments administered in the successful recovery of Blakes Labrador. In conclusion, when you first get that gut wrenching diagnosis from your vet and you think all is lost please do not give up because there are alternatives to be had to synthetic and pharmaceutically produced drugs that are one hundred per cent organic and natural and that can have a massive impact on the treatment of your Rottweilers health – or on any other dog for that matter, CBD’s benefits are not restricted to Dogs, large or small. In fact, once you witness the amazing powers of CBD oil you may very well start looking at this substance as a way to bolster and protect your own health and general well-being. There are hundreds of products out there that an increasing number of people swear to have hugely positive benefits that go towards maintaining a healthy and happy life for us humans too!